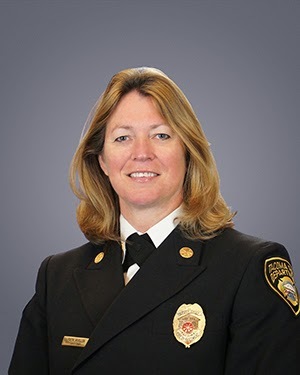 The National Fire Academy has conferred upon Deputy Chief Faith Mueller the title of Executive Fire Officer. Requirements for the rigorous four year program include the completion of an annual applied research project, and two weeks of annual residency at the National Fire Academy campus in Emmitsburg, Maryland. Prerequisites for entrance into the competitive program include current standing as a chief officer and prior completion of a baccalaureate degree. The curriculum focuses on executive development, leadership, community risk reduction, and fire service operation in Emergency Management. Congratulations Deputy Chief Mueller! On Tuesday January 21, 2014 Tacoma Fire Department conducted a live fire training burn of a house located at 6224 16th Street East in Fife. With grants acquired by the Port of Tacoma through the Department of Homeland Security, the Tacoma Fire Department now stands ready to operate Tacoma’s new Port Emergency Warning System (PEWS) from its Fire and Emergency Communication Center. The system is designed to provide an area wide audible alert with emergency instruction to those working outside or in loud industrial environments. City of Tacoma Emergency Management is providing four public information seminars for interested parties to learn about the PEWS system.